Many of us have enormous hearts and big visions. We long to see people living their fullest expressions united together in genuine collaboration with mutual trust, authenticity and acceptance while working together toward common goals. Many of us are continually taking action and creating this in our personal lives, communities and careers. I am. This vision begins… within. Many of my colleagues and friends are embracing their own empowerment. They are continuously learning, teaching and modeling the “true power” that comes from withIN. We are in a time now for discovering this power inside ourselves, each and every ONE of us. It’s also true that ‘discernment’ is key. Empowerment relies upon us listening to and heeding the direction of our own inner compass. Others may not respond well to this. They may truly prefer us unempowered. We must empower ourselves anyway and learn to collaborate. I had many lessons around this in 2013 and the early days of 2014 and witnessed many more. This is not always easy to navigate and those who teach it are continuously learning themselves. One instance, one lesson in particular, was immensely challenging for me personally. I know I will continue learning and growing from it for a very long while to come. I also know now that even though my heart may carry a true message (of healing community, allowing forgiveness and renewing love) I must be clear and discerning about how, where and when I share it. I did not do this entirely well in that instance and yet I trust some universal plan has unfolded. It seems it had to happen. I am called now from deep within to truly walk my talk now. I bless that situation with Love and let go. The energy of possibility and limitless love allows for so much that I cannot see. I will trust that. I will act now from renewed integrity to myself and others. My inner compass is recalibrated. I appreciate what I have shared and learned. Now, life moves forward. There is no going back to what was. There is only what IS and creating what will BE. I know I can choose and continue to choose to believe in people and the higher vision while being discerning in the day-to-day living of life. Trusting my own intelligence and inner hit of intuition is key and all of us are learning that more and more. As I wrote in a personal post weeks ago, I have never in my life burned any bridges. Relationships flow and change with the fluid nature of Life and growth, within us and around us. May we always bless them with love. They may be only for a reason or a season or they may return to us with renewal. Let us remain open to possibility yet always true to our own knowing, our own inner compass. We all continuously learn and grow yet must always take responsibility for the energy we bring into each moment of life and give out to others in thought, word and deed. Love is the constant and the ultimate truth to live by. Kindness is key. What we do to others, we do to ourselves. It’s time to realize how truly interconnected we are. We have got to walk our talk! 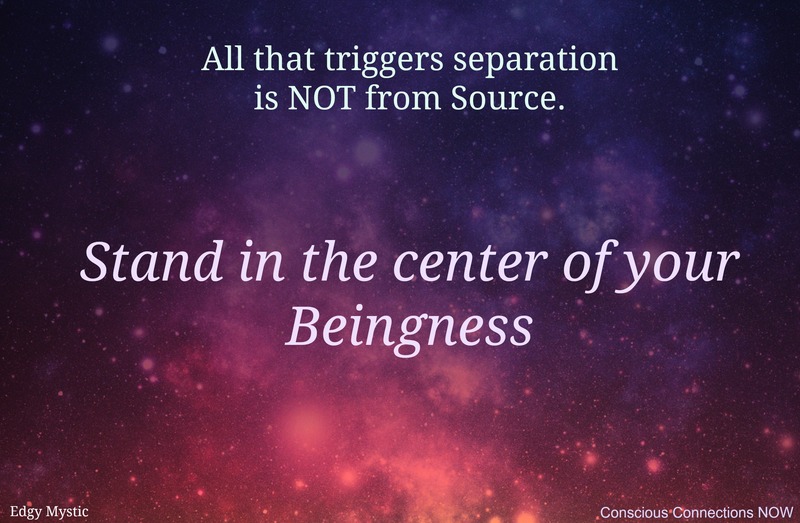 One of my dearest friends, Edgy Mystic Melynnda, a trusted colleague/peer/mentor/sister/friend, said to me in early December 2013, “All that triggers separation is not from Source. 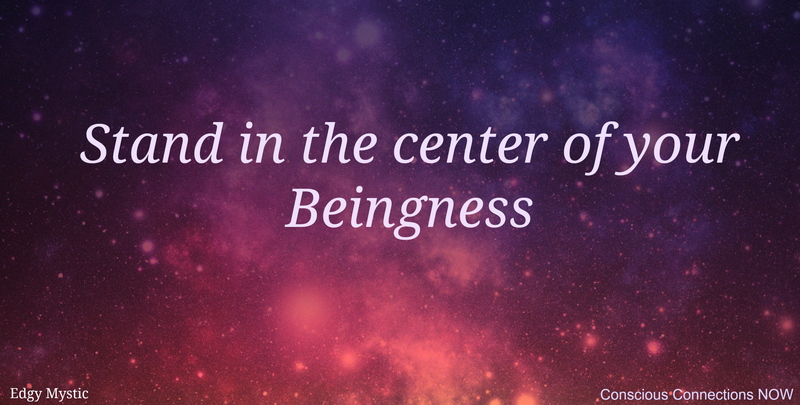 Stand in the center of your Beingness.” That phrase of wise insight simply poured through her. THAT was empowering and a powerful validation at the time. It continues to be. 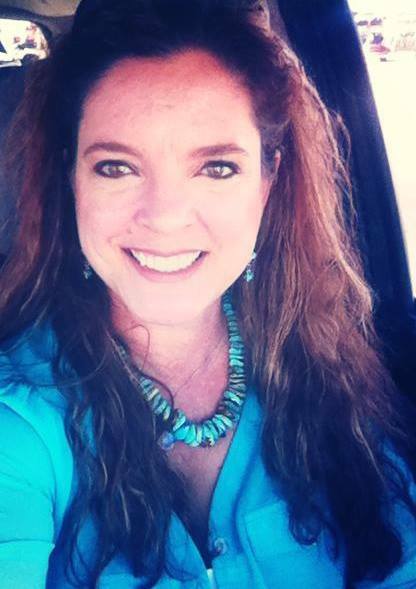 My own father once told me I was THE most nonjudgmental person he has ever known. One of my best friends agreed yet told me I had often saved all of my judgment for myself. Now, I have had a lifetime of learning about the energy of judgment. I simply can’t inflict that type of violence on others or myself anymore. Intentional loving choices prevail more now, from the inside out for me. There’s plenty of imperfection along with plenty of gentle strength, integrity, ever-deepening wisdom and profound love. It’s truly empowering to know we get to choose for ourselves, every moment of every day, with every thought, every word and every action. We are that powerful. We get to choose. I CHOOSE LOVE….. over and over and over again in every moment that I can….. I choose to create from that place and collaborate with others who make that same choice. Now let’s create that world we envision, one choice at a time, together. I savor and courageously express more and more of my own heart’s whispers now thanks to the sacred connections present in my life. You are one of those, a most significant one. Your heart’s whispers have emboldened my own Jacqueline. I am in awe of who I see in you and simply marveling at your continued Becoming. I love you too. And yes, oh yes…. just by our choosing and our allowing, we are both sending and embodying HER as midwife delivering a Divine Child and a genuine Heaven upon Earth. Now we know more of that essence and that truth of “As Above So Below.” From Chartres to all our collaborations at Sacred Circle Retreats, from our personal journeys to our sacred friendships, we know and are embodying our knowing…. It’s truly empowering to know we get to choose for ourselves, every moment of every day, with every thought, every word and every action. We are that powerful. We get to choose. This, THIS is what makes our journey here so exciting, so powerful! I choose to be awake and to honour each person’s journey!! YES! It’s an exciting time to be awake, to be alive and to be empowered in our choices while witnessing others’ journeys in this world. ‘Recalibration’ indeed on so many levels…. It does. It just keeps getting better. Love you M*. Deep bow _/\_ of love and appreciation Melynnda. Thank you for ‘seeing’ me as you do. I truly appreciate you sharing this. What a journey and what insights we have come to together. And to think…. there is so much more yet to come.